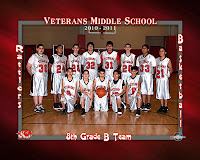 VETERANS MIDDLE SCHOOL – Congratulations to the Veterans Middle School Basketball District Champs! VMS is very proud of its 7th and 8th grades boys’ basketball teams for achieving the ultimate honor of earning the District Championship trophies after a very successful season. Three of the school’s basketball teams earned the distinctive District Champs title in their respective categories. The teams who received the District Champs trophies were the 7th Grade A Team, 8th Grade A Team, and 8th Grade B Team. 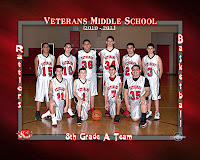 In addition, all three VMS basketball teams were undefeated with a district record of 9-0. Congratulations to these basketball players, their coaches, and their parents for their dedication and support all season. Pictured below are the 7th Grade A Team (top l-r) Coach Raul Garcia, Milton Gonzalez, Daniel Garza, Shane Melton, Carlo Montalvo (bottom l-r) Israel Silva, Aaron Castillo, Alonzo Armendariz, Ivan Garcia. 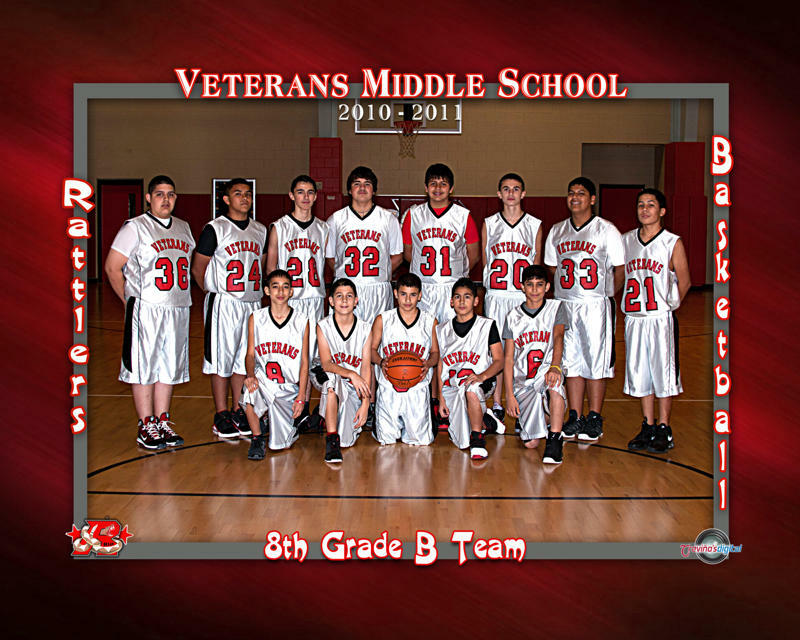 8th Grade A Team (top l-r) Eddie Garcia, Rene Gonzalez III, Homero Toscano, Balde Garcia, Victor Saenz, Jason Gorena (bottom l-r) Anniel Lopez, Derek Jones, Aaron Gutierrez, Alex Castaneda, and (not pictured) Coach Omar Garcia. 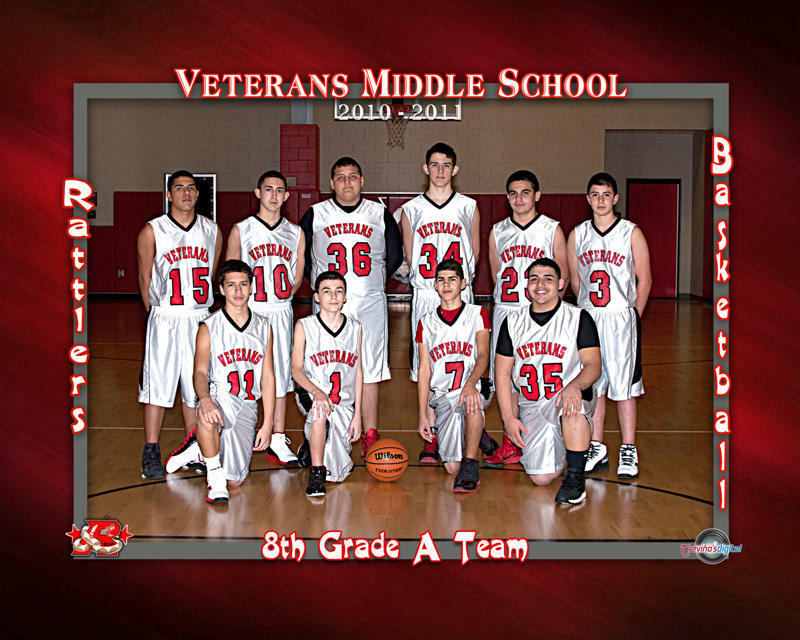 8th Grade B Team (top l-r) Joel Alaniz, Justin Salinas, Jaime E. Hinojosa, Giovanni Barrera, Jose Pulido, Jacob Canales, Alexis Morin, Pedro Morin III (bottom l-r) Justin Guerra, Esteban Sepulveda, David Garcia, Urbano Benavidez, Norberto Cantu III and (not pictured) Coach Humberto F. Mireles.